Florida is no longer the preeminent launch pad to the stars. Space Shuttle Atlantis blasted off into space from the Kennedy Space Center today for the final time, marking the end of NASA's historic space shuttle program. The event leaves both the future of American space exploration and Florida's Space Coast in question. View video of the historic launch below. 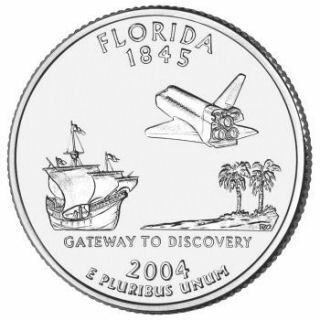 The space shuttle program had become such a symbol for the state that it adorned both our state quarter and a special license plate. The end of the program now means the loss of about 10,000 jobs in the area, and the loss of a significant source of tourism. But Cape Canaveral will still continue to launch unmanned spacecraft. The area might also be the site of future private space launches, but such programs might take years. However, many private companies interested in space travel seem keen on launching from New Mexico, where the weather is more predictable. Meanwhile, NASA will now set its sights on a new program that could eventually send man beyond Earth's orbit and onto asteroids and the surface of Mars. Though that program, too, will take years. In the meantime, the economy of the Space Coast remains in doubt.
. "Businesses are already shutting down. There's nobody hiring anymore."